I was so pleased with myself for this section of the recent Hopetoun phototrip for the Mallee Routes project. 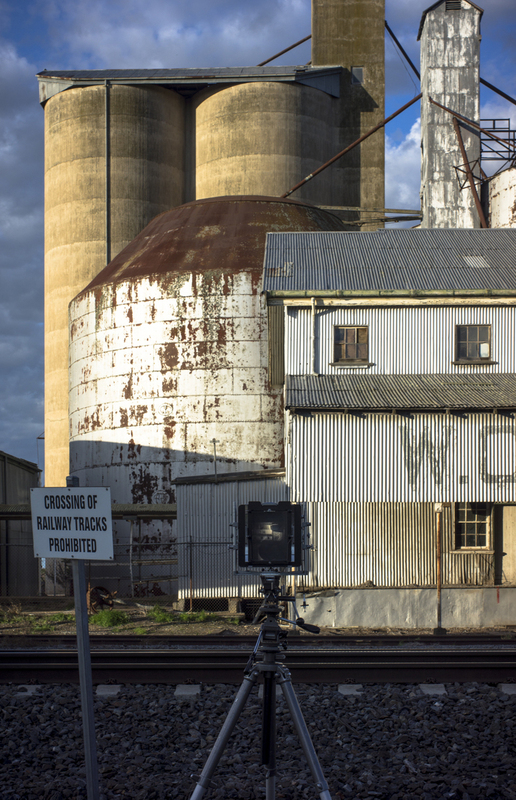 I had timed the photoshoot at Murtoa, in the Wimmera Mallee perfectly. The light was right. So were the clouds. The Cambo 5x7 monorail was set up properly. I took a behind the camera snap with the Sony NEX-7 to record the moment, then loaded the double dark film holders. The spring in the camera back broke as I was loading the double dark film holders. I took some photos but there was no pressure holding the film holder tight against the camera body. So there would be light leaks everywhere.